One of my favorite places when I was in school and college was my own room. I am sure, many of you who feel my room is my palace. Especially for boarding children, the room is a silent witness to all the struggle during college. Well, for four years of college, I often moved rooms boarding house. I also so often change the room decor, so do not get bored. Unfortunately, it used to not have much reference material. So you do not experience the same fate, I love some exciting references that you can make inspiration to decorate the room, yes. Guaranteed, with these easy ideas, your room will look very different! Do not stick the post card spread across the walls of the room, yes. 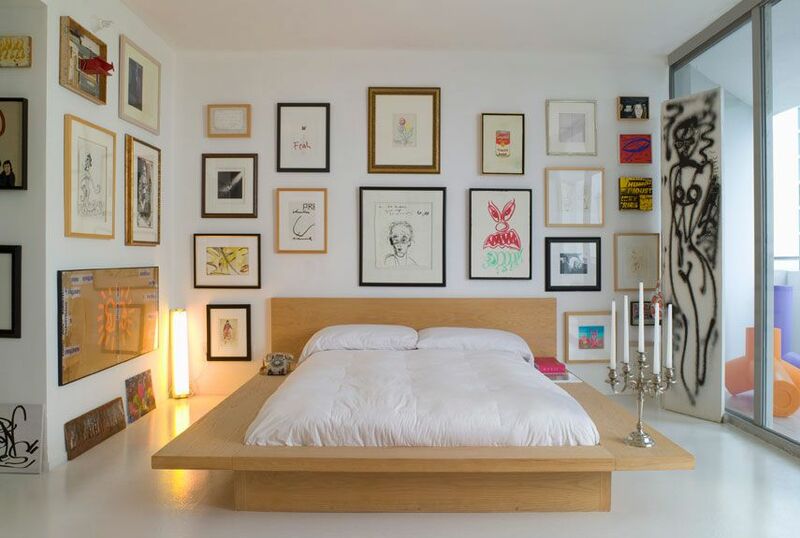 Paste in a corner or a certain part, which can make your room like a special wall decoration. If you're the kind of person who likes everything that's classic, then the all-white décor is perfect for you. Use uniform colors for bed sheets, pillowcases and blankets. In order not to seem boring, choose a different fabric texture. For example white linen for bed linen, knitted material for blankets and matelasse texture on pillowcases. Do not throw away jars, cans, or used boards, mate. You can stuff these items into unique furniture for your room. The bedroom is a personal reflection of the owner. Combine dark blue, gold and white to show an elegant impression on your bed. Choose several different geometric motifs for blankets and pillowcases, and white for her bed linen. Nowadays, there are many stores that sell cutting stickers wall alias wall decal that stay paste. Motifs and pictures also vary. Try to select one that suits your room size and character. You like something beautiful and sweet? Put a floral touch on your bed. Choose bright colors as accents, such as magenta or bright pink for pillowcases and blankets. Keep using white as the base color to avoid overly crowded impressions. Try decorating your walls or beds with ethnic fabrics. Take a look at your mother's or your sister's pashmina collection. If not, you can also find cheap fabrics in the market. People who like adventures usually like something smells of ethnicity. In addition to clothing, ethnic nuances can also you present in bed. Choose pillowcases and bed covers with ethnic motifs such as tie, tie dye or batik with colors and similar patterns. Who says natural stones and buildings can not be used to decorate a room? Precisely natural and industrial-style decor now again hits really, you know! Clean the bricks you want to use, or you can also paint with favorite colors. Combine your feminine side and the couple's masculine side. Feminine touch can be presented through a pillowcase made from chiffon and embroidered. While to show the side of masculinity, choose something simple and modern.